Education Technology (AKA edTech) is one of the fastest growing markets in the world. Check out the following list to see who is leading the pack and changing the edTech game. Enjoy! New edTech websites, apps and other innovations are being brought into the market everyday. With all the new ideas and inventions being introduced, it has become extremely difficult for teacher to remember and share the products that they feel are worthwhile. It was, that is, until Wibki. 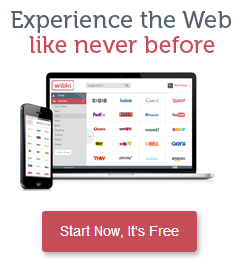 Wibki is a visual bookmarking and discovery service that will change the way that you browse the web. Its benefit to teachers are two-fold. Firstly, through Wibki, Teachers will be able to find and save new websites and apps that they think will be beneficial in the classroom. Additionally, Teachers can create a classroom Wibki page, where all their students can have access to the websites that they recommend. It will keep you and your class organized without using too much of your valuable time. Read on to see who else is innovating education through edTech. A former teacher himself, Richard Byrne is also a speaker and writer who is determined to help people innovate the classroom. Mr. Byrne maintains a blog where he discusses free technology that can be used by teachers world-wide. His Twitter feed is full of useful apps and tools for school which makes him a great follow for any teacher looking to stay current with the latest in edTech. Affectionately referred to as Cool Cat Teacher, Vicki Davis is a full-time teacher, mother and the author of Flattening Classrooms, Engaging Minds: Move to Global Collaboration One Step at a Time. As a teaching enthusiast, her goal across her social media platforms is to “inspire, encourage, and inform the teachers, parents, and professionals working to educate this wonderful generation of students.” Be sure to follow her on twitter for great classroom tips, tricks and technology advances. With a resume’ that includes five published books, several teaching/leadership awards and a weekly post for The New York Times, Larry Ferlazzo is a man who is worth listening to for advice. He teaches English, Social Studies and International Baccalaureate and has several insights into how to best motivate students. His Twitter feed is filled with interesting articles, groundbreaking studies and of course, great edTech resources. A passion for spreading knowledge and The Apple Distinguished Educator distinction combined with over 20 years of teaching experience makes Lucy Gray one of the leaders in edTech today. She currently works as a consultant for edTech and social media companies as a way to actualize her passion for information literacy, mobile learning and global education. If you are interested in knowing more about new technology and studies that could help you in the classroom, make sure to follow her Twitter feed. After spending 32 years in the New York City school system, Jerry Blumengarten, or Cybraryman, decided to retire and spend more time working on his social media pages and helping schools with fundraising and curriculum. As a member of the #edchat team on Twitter, Mr. Blumengarten is well respected for all of his contributions and innovations. Be sure to get his advice and see all the links that he feels are worthwhile and interesting on his Twitter page. With a passion and a knack for identifying problems and innovatively solving them, Zoli Honig is an edTech influencer who is quickly making a difference. Realizing that education is one the last major sectors to go through a technological overhaul, Zoli co-founded Chalkable, a product that schools have already begun to adopt. Chalkable, put simply, is an app store for schools with a platform to make those apps run smoothly. In that way, Chalkable will become a central hub for all classroom needs. Make sure not to miss any major innovations by following Zoli on Twitter. A Harvard graduate and successful entrepreneur, Jeff Dunn is one of the leading people in edTech, today. By founding Edudemic, a collection of tools, tips and resources for teachers and students around the world, Mr. Dunn was able to put his passion for technology and teaching into fruition. Edudemic aims to connect administrators, teachers and students with the best technology on the planet, a goal that they are growing towards with over 1,000,000 views a month. Find new resources and enjoy what Jeff has to share on the official Edudemic twitter feed. As an accomplished teacher, speaker and creative thinker, Tom Whitby has spent much of his life in the service of others, specifically, their education. Mr. Whitby began his career as a teacher, working in different districts for approximately 40 years. Now retired, Mr. Whitby speaks at many national education events and is even the founder of #Edchat on Twitter. If you are interested in reading insightful articles and different opinions from a man who has been on the other side, it’s highly recommended that you follow Tom Whitby on Twitter. As a high school principal, John Robinson has a unique perspective on schools and the way they are run. His expertise are in English/Language Arts, but he also has a background in technology. His blog, the appropriately named, “21st Century Principal” and his Twitter feed are both a collection of thoughts about policies and newsworthy stories that are effecting schools around the globe. An award winning principal from New Jersey, Eric Sheninger is certainly a man who is changing the way that schools use technology. Eric’s main focus is to help schools harness the power of social media and to use it to connect with students. This sought after speaker loves to tweet about all things education, technology and school. In fact, TIME Magazine named Eric’s Twitter feed as one of the best 140 of 2014. Wasting no time in recognizing that the internet as a great place to share education ideas, Angela Watson created “Ms. Powell’s Management Ideas for Teachers” in 2003. Now known as thecornerstoneforteachers.com, Mrs. Watson is helping teachers around with world with teaching techniques, organizational tips and the like. Angela is a sought after speaker who is highly qualified to share teaching strategies and has proven to be a motivating force. Follow Angela on Twitter as she helps the world transform education. The creator of #1to1techat, a Twitter chat that aims to discuss the benefits and effectiveness of one on one programs in school, Shawn McCusker has been leading the innovative education conversation for several years. His dedication to teaching is both admirable and important. On his Twitter bio, he proclaims that “teaching is who I am, not just what I do.” Follow Shawn to read interesting articles and tidbits that he finds about education. The author of an award winning blog and an education, technology and social media (among other topics) consultant around the country, Shannon Miller certainly has a wealth of knowledge about the progress of schools. She currently serves as a district teacher librarian where she encourages her students to “have a voice while learning, creating, collaborating, and connecting to others within their school and around the world.” Follow her on Twitter to get live updates from this experienced and knowledgeable educator. An outdoor enthusiast who’s been to Antarctica, has a minor in sailing and has even worked for the Navy, it’s no stretch to say that Beth Holland is not your typical edTech influencer. However, her experiences do contribute to the wonderful perspective that she has and her ability to recognize innovation wherever it comes from. Beth is now an instructor with EdTechTeacher and writes for numerous publications including her own blog, and the aforementioned Edudemic. Follow her Twitter feed for creative classroom assignments and to read about the latest developments in edTech. Creator of Coursera, (the largest MOOC or massive open online courses platform in the world and #31 on one of our Top 51 Ways to Learn Online list), Andrew Ng is quickly changing the way people use technology to learn. Through Coursera and his other work, Andrew is trying to give everyone in the world access to high quality education, for free. This MIT graduate is also the Director of the Stanford AI Lab and primarily researches different fields in computer science. Follow him on Twitter to read about deep and machine learning, and to see what innovation he’s come up with next. Karen’s Twitter bio is one sentence and it says it all. In her own words, what she does is “focus on leveraging technology for teaching and learning.” Karen was the Director of the Office of Educational Technology at the U.S. Department of Education. There, she led the development of the 2010 National Education Technology plan. Now the President and CEO of Digital Promise, Karen is constantly working to improve the education opportunities for all Americans through the utilization of technology. Check out her Twitter page to get live updates about the happenings at Digital Promise, and across the edTech sector. The former Director of the Office of Education Technology at the U.S. Department of Education, Susan Patrick has a tremendous background in edTech. She currently serves at the President and CEO of the International Association for K-12 Online Learning. There, she works to help improve the world of online learning for students and teachers alike. Her Twitter feed is filled with edTech news and articles as well as some of her own personal insights. Check it out. An entrepreneur with a knack for creative edTech ideas, Michael Chasen has already influenced schools across the country. He, along with some partners, founded Blackboard in 1997, a company that aims to connect administration with teachers and students and now has over 20 million users. He is now working on his next project, Social Radar, and continues to be innovative and successful. To get an inside perspective from an edTech entrepreneur with a great grasp of the business world, follow his Twitter feed. In his own words, Mr. Nesi is passionate about technology and its place in education. For that reason, he is sure to stay current on the latest in technology and how it can best be incorporated into the classroom. As part of his campaign to help education, Mr. Nesi has an audio podcast where he interviews educators and innovators to explore interesting products that are being used in schools. Follow Mr. Nesi on Twitter to hear his opinions about these new tools. A self-proclaimed technology geek and science teacher for over 25 years, Kevin Corbett is a prototypical edTech influencer. Kevin is passionate about e-learning, a field with limitless potential to help teachers and students have a better experience educationally. He, along with a team of professionals, developed an amazing and successful e-learning program and continues his work by researching gamification of school and learning. To learn more about the gamification of schools, and other edTech news, follow Mr. Corbett on Twitter. To know that Steven Anderson is extremely qualified to be one of the top 35 edTech influencers, all you need to know is that he is the former Director of Instructional Technology. To know that Steven Anderson is someone who is worth listening to, all you need to know is that He has been a presenter at several educational technology conferences, including ISTE, ASCD and NCTIES. To know that Steven Anderson is worth following on Twitter, all you need to know is that he won the Edublogs twitterer of the year award in 2012. So, to know more about edTech, follow Steven Anderson on Twitter. Ryan Tracey is a published author and e-learning manager at a well known Australian financial services organization. His books, E-Learning Provocateur Volumes I,II,III discuss and provoke thought in topics like social learning, MOOCs and the future of e-learning. Aside from that, Ryan is an Editorial Board Member for eLearn Magazine. His twitter feed is full of interesting blog posts, quirky pictures and of course, important e-learning tidbits. Give it a follow. As the author of The 30 Goals Challenge for Teachers: Small Steps to Transform Your Teaching and Learning to Go: Lesson Ideas for Teaching with Mobile Devices, Cell Phones and BYOT (Bring Your Own Technology) and a very active Tweeter, it is clear that Shelly Terrell has a lot to say. It’s worth listening to. This sought after speaker has trained teachers in over 25 countries and was recently named Woman of the Year 2014 by the National Association of Professional Women. Follow Shelly on Twitter for tons of great learning and teaching content. A teacher in every sense of the word, Andrew Miller has spent time as a classroom teacher, an online teacher, curriculum developer, instructional coach, teacher leader, and educational consultant. Andrew currently serves on the National Faculty for the Buck Institute for Education and ASCD where he gives presentations and workshops to educators around the globe. To get a taste of the articles and studies that Andrew thinks are worthwhile, follow him on Twitter. A man who as experience being a teacher and an administrator in schools, Justin Tarte understands which technologies can be practically applied to the classroom and which are more of a stretch. He is currently the Director of Curriculum & Support Services in the Union R-XI School District in Union, Missouri where he applies his passion for technology and education to everything he does. Aside from that, Justin also works as a member of Fired Up Presentations, a company that aims to help schools in the midwest achieve their educational goals. Follow Justin on Twitter to see what this quirky edTech influencer has in mind for the future. With an extensive Resume’ that includes being the CEO of Getting Smart, an education advocacy firm, a partner in Learn Capital, a edTech centered venture capital firm and author of Getting Smart: How Digital Learning is Changing the World, Tom Vander Ark has already established himself as a man with the passion and abilities to change the edTech world. Tom is an accomplished speaker who also serves as the Treasurer for the International Association for K-12 Online Learning. If you are looking to know more about the edTech world, follow Tom Vander Ark on Twitter; he is one of the best in the business. David believes that “learning should be fun, relevant to the student, and student centered.” He believes that students should see the real-world applications of the things that they are studying, that all students have talents that can be honed and developed and that there should be a level of mutual respect between teachers and their students. It is with this philosophy in mind that David attacks problems in schools and in education as a whole. To read edTech insights from someone who genuinely cares about education, follow David on Twitter. To know that Will Richardson is one of the top 35 edTech influencers, all you need to know is that his book, Why School? How Education Must Change When Learning and Information are Everywhere, is the best-selling TED book of all time. In his book, Mr. Richardson discusses traditional education methods and how students, teachers and schools as a whole can adjust to our technologically savvy generation. This former public school educator is also the co-founder of Modern Learner Media, a company that aims to help further the conversation about education. Follow him on Twitter to read about his unique views on education. Standing at the intersection of education and technology is Kyle Pace, capable and ready to help integrate the two together. This Google Certified Teacher has “worked with K-12 teachers in his current school district to provide instructional technology professional development for the last 10 years.” Kyle’s passion for helping teachers and administrators utilize the latest in edTech is one of the many reason that he is a sought after speaker, delivering insightful speeches at many important education conferences. Follow Kyle on Twitter to feel the motivational pull of a great edTech innovator. A man who has centered his life around education and teaching (even his wife is a teacher), Steve Wheeler has made a name for himself in the edTech community. His research mainly revolves around social media and mobile technologies in education and has been invited to share his wisdom in over 30 countries world-wide. Steve currently serves as an Associate Professor of Learning Technology in the Plymouth Institute of Education, at Plymouth University. Follow him on Twitter if you want to follow the future of education. Creator of one of the most amazing online learning resources in Khan Academy, Sal Khan is synonymous with changing and improving education. Khan Academy is a collection of clear and concise educational videos, mainly math and science related, that students around the world are able to access for free. Sal’s creation is so useful, even Bill Gates says that he uses in to teach his children. In recognition for his trailblazing ways, Sal was named one of the top 100 most influential people in the world by Time in 2012. Follow Sal, his interviews and new ideas through his Twitter feed. A professor at MIT and successful entrepreneur, Anant Agarwal is best known for being the CEO of edX. edX is a company that aims to assist students and teachers with new technology and rigorous coursework. They are determined to research education, specifically how students learn and how technology can assist them on their way. One day, they hope to become a leading resource for learners and learning worldwide. To read about notable edTech advances from a distinguished professor himself, follow Anant Agarwal on Twitter. Enthusiastic about both technology and education, Adam Bellow is the embodiment of former teachers changing the way that schools are run. His creation, eduTeacher, is a collection of thousands of web tools with specific instructions about how they can be implemented into the classroom. Adam’s twitter page is replete with suggestions and recommendations for new tools to use to help your class get ahead. The MACUL 2014 Teacher of the Year Erin Klein is certainly doing something right. By combining her love for education with a background in business, Erin is able to view education from a seldom seen perspective. She values the integration of technology into the classroom and is therefore able to develop unique educational ideas. Enjoy her tweets about how new technology can be used to enhance curriculums and teaching methods. As a father of two daughters, Darcy Moore truly understands that improving education is the key to the future success of the world. For this reason, he has been involved in education, whether as a teacher or currently as a principal (and a blogger and a photographer) for many years. His accomplishments include winning an award for the best school administrator blog in 2010 and 2012 as well as being an Adobe Education Leader. Follow him on Twitter to read all the amazing articles and important news stories that he finds.